Oral-B Genius 9000 Black Electric Toothbrush incl. 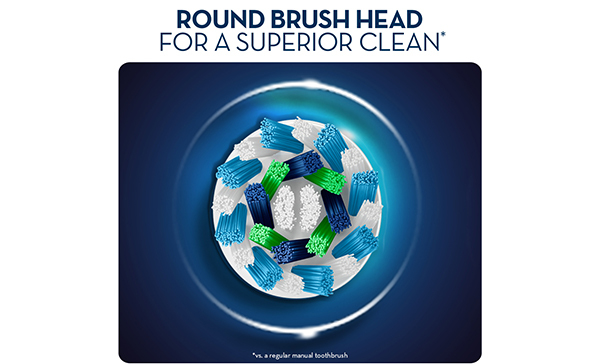 3 Brush Head Refills & Smart Travel Case is rated 4.7 out of 5 by 129. Rated 5 out of 5 by Kaushik from More efficient than manual brushing This is my first electric toothbrush so I was a bit skeptical about it. After reading a lot of review on different websites I decided to give it a try. I don’t think I would be going back to manual brushing. The result from this brush is much better and teeth feel cleaner in lesser time. Rated 5 out of 5 by Andi from Husband loves the toothbrush I purchased the toothbrush as part of my husband's birthday present - he loves it. I am looking to purchase a Braun Oral B Triumph 5000 with Wireless Smart Guide. This model has a battery clock. Do you sell them and if so how much are they? Afternoon! Similar to a question from 22 days ago (that seems not to have been answered), when will the Oral B 9000 Series be back in stock? HI Im after this Oral-BGenius 9000 Black Electric Toothbrush, its stating that its not available, Im hoping to purchase this for my sons 18th birthday before the 07/03/18 do you think there will be availible by then, Thank you. Are the Oral B Genius 9000 available to purchase online?